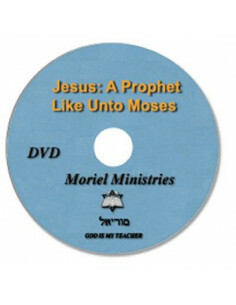 Deals with the prophecy of Deuteronomy 18:18, that the Messiah would be a prophet like Moses, in the character of Moses. What is the Day of the Lord?/Approach of the Day of the Lord? Two messages on 1 DVD. The first is self explanatory, the second is from Obadiah verse 15. Hebrews 2: How backsliding comes about. What Moriel Ministries is about! Deals with the views of the Messiah in Judaism, where there are two pictures of Him: Messiah the son of Joseph, and Messiah the son of David. What do these opening chapters mean for us today?